Going on a nature walk through a forest at night is a very different experience from seeing it in the day time. Even the sounds and small insects and birds you see are different. Most birds are active during the day and rest at night, so there is a good chance of spotting some sleeping in a tree. 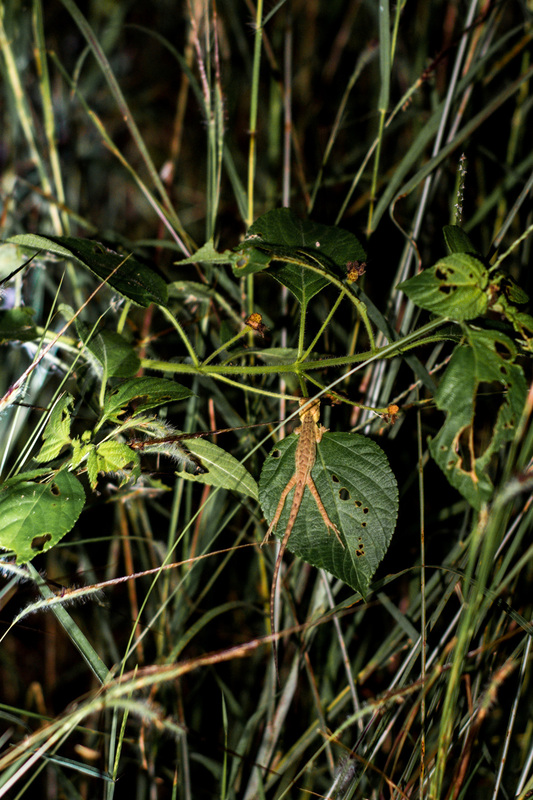 The buzzing of crickets and grasshoppers also gets loud at night: mostly mating calls made by males to attract females. With a torch, comfortable walking shoes and a local guide, a little night-time exploration on the grounds of your lodge can be a wonderful addition to the safari experience. 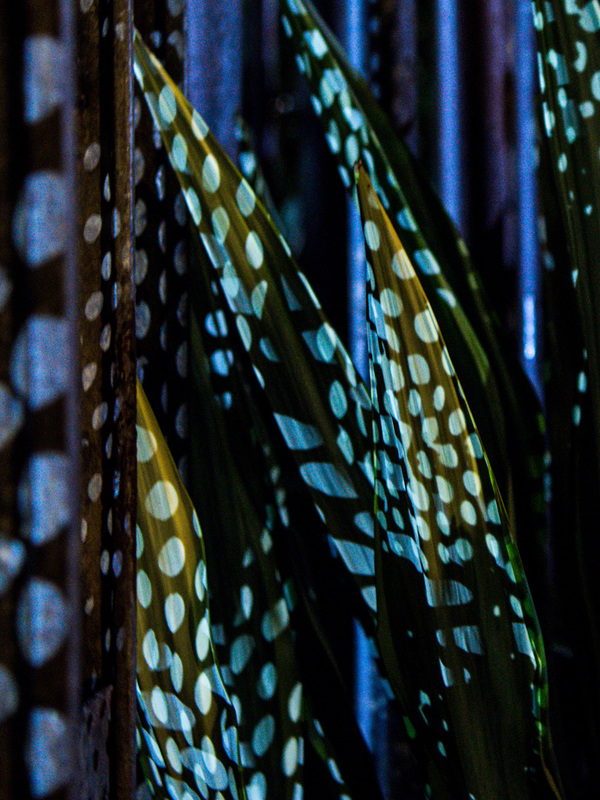 Light passes through a fence at night, creating circular patterns on the leaves of a plant. 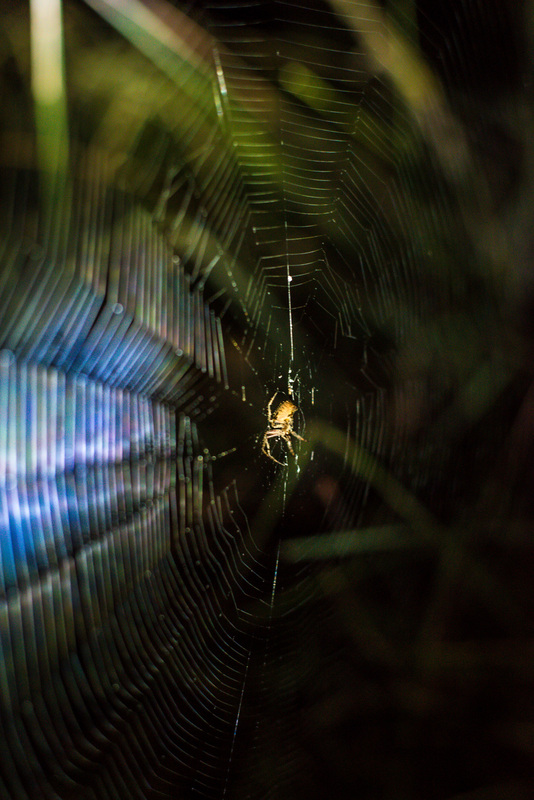 Spiders build a variety of different webs to trap their prey. 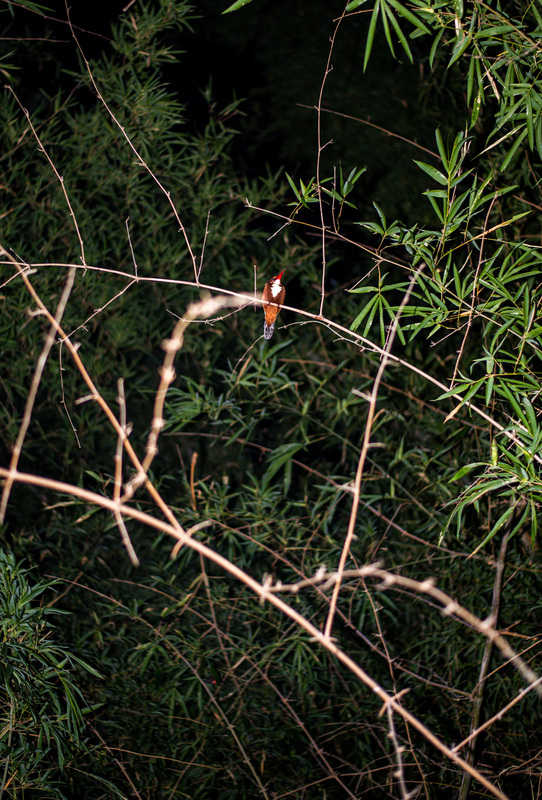 White-throated kingfisher resting on a tree. 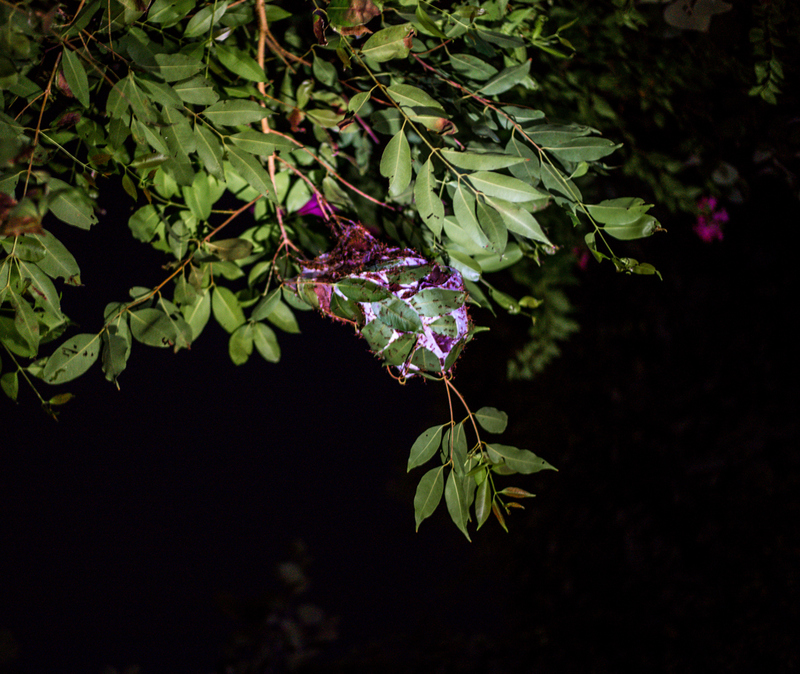 Some species of ants build elaborate woven nests on tree branches, where the large colony then lives and breeds. A fan-throated lizard generally feeds on termites, beetles and other insects. 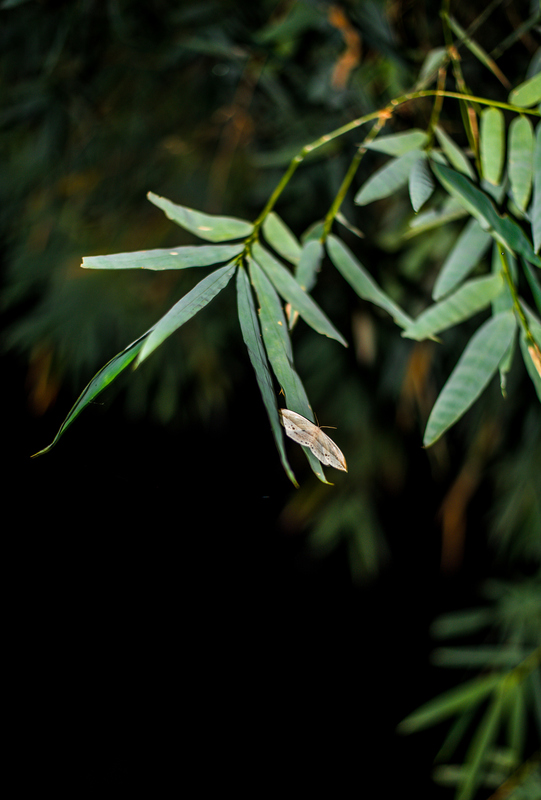 Moths tend to be most active at night. 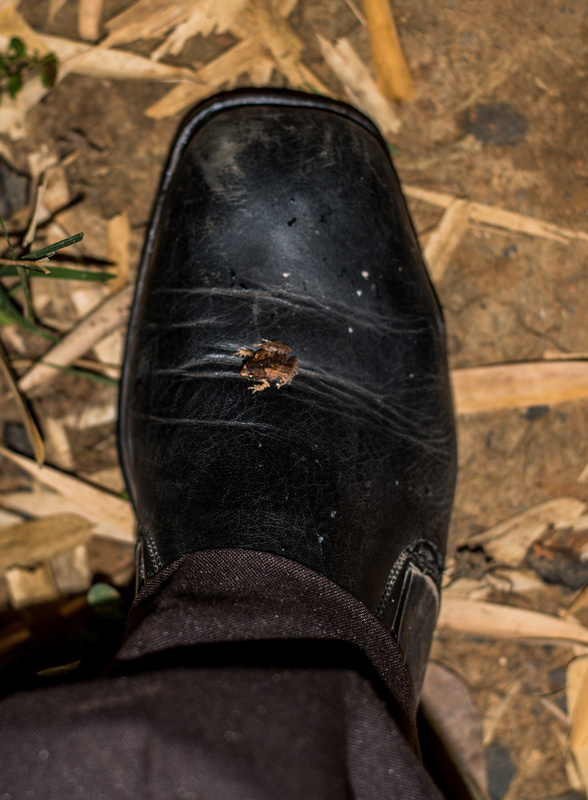 A tiny frog jumps onto the naturalist’s shoe during a night walk in Bandhavgarh. 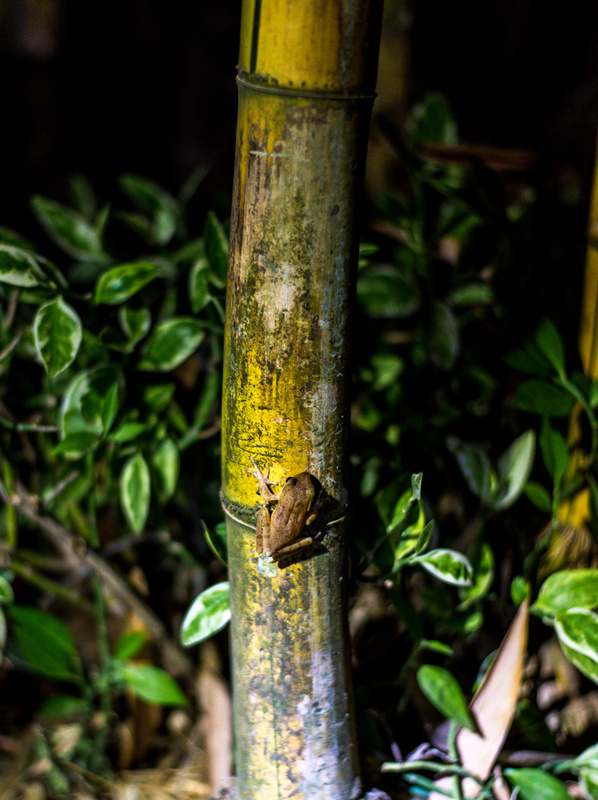 A frog climbs a bamboo.